Kate Miller-Heidke performs Zero Gravity on Saturday. For the first time, this year's Eurovision contestant will be decided by the public. Miller-Heidke's performance was defined by an absolute belter of an operatic note, but her dramatic aerial staging - which saw a swaying dancer hoisted metres off the ground - may have helped, too. The show flaunted Australian talent before the contenders even took to the stage. 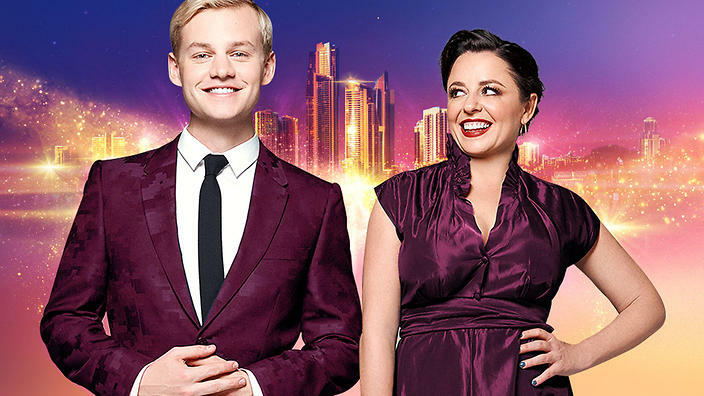 Australian Idol alum Casey Donovan started the show with her take on Guy Sebastian's Tonight Again, which Sebastian took to a #5 place at Eurovision in 2015. Electric Fields delivered a stellar performance, and came so close, but it was Kate's night. The ESC2019 this year is being hosted by Israel. By tradition, the Eurovision finals are held in the country of origin of the previous year's victor. While thousands of fans filled the Gold Coast Convention and Entertainment Centre, the event was not universally supported.